Somewhere in Latin America a family of musicians and modest farmers join a fearless guerilla movement attempting to overthrow the brutal and sadistic government. When the military seizes their village, they flee to the sierra hills, forced to leave behind their stock of ammunition. While the guerillas organize a counter-attack, old Plutarco plays up his appearance as a harmless violin player in order to get into the village and recover the ammunition hidden in his corn fields. His violin playing charms the army captain, who orders Plutarco to come back daily. With tension escalating sky-high, guns and music take on a near holy significance with hundreds of lives hanging in the balance. 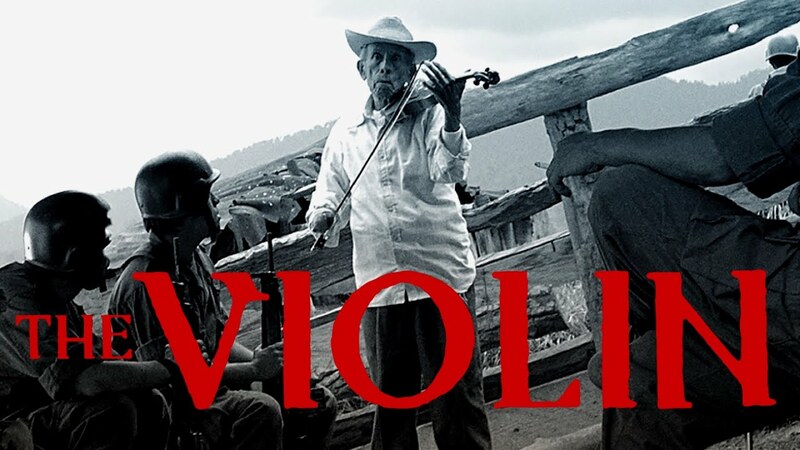 "One of the most amazing Mexican films in many a year...The Violin is filmmaking in its purest form. The debut film by Francisco Vargas moves us with its lyricism and shakes us with its honesty. A film that's moving, urgent and necessary."